Aubrey Layne has had what few of his predecessors had — money to spend. The year before his appointment as Virginia’s transportation secretary by Gov. 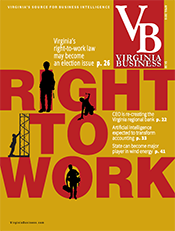 Terry McAuliffe, the General Assembly passed in 2013 a landmark transportation-funding bill, adding new money to the state’s coffers for the first time in almost 30 years. 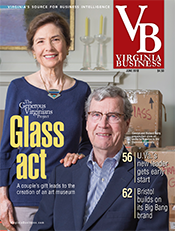 Layne, a CPA and former real estate executive, knew the new money was a blessing — but also that Virginia had to take its gift seriously. In addition, the fall in gas prices put major holes in anticipated revenues. As a former member of the Commonwealth Transportation Board (CTB), Layne was familiar with how political transportation funding decisions could be. But politics, he believes, doesn’t always beget the best spending decisions. So Layne set out to apply objective business principles to transportation funding, working with a Republican-dominated legislature to change how Virginia’s transportation dollars are allocated. House Bill 2, passed by the General Assembly in 2014, is the centerpiece of the new formula. The legislation created a method for the state to score and prioritize transportation projects. While the CTB isn’t legally required to fund only the highest-scoring projects, Layne says the law requires CTB members to explain their reasons if they don’t. Virginia is undergoing its first test of the new system. 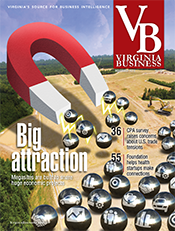 In January, the Virginia Department of Transportation released its first scorecard. The CTB is expected to finalize its funding recommendations in June. Another key transportation bill, HB1887, was passed last year. 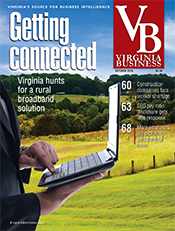 It is designed to ensure Virginia maintains its current road network. Previously, Layne says, the CTB was reluctant to use money on big maintenance projects — like roads that needed to be rebuilt and bridges that need to be shored up. Instead, a lot of roads were simply repaved over and over again. So now, the first 45 percent of VDOT’s construction money is used for heavy-duty maintenance projects. 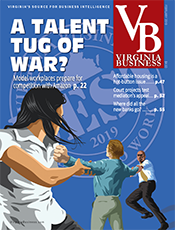 The remaining 55 percent of construction funds is divided evenly between a statewide pot of money that regions compete for and money for each of VDOT’s nine transportation districts. All of that money is being spent according to the new HB2 scorecard. “So House Bill 1887 really goes hand-in-hand with House Bill 2 in making sure not only are we using objective data, but we’re taking care of our current network and every part of the commonwealth gets these monies,” says Layne. But while Layne benefited from an influx of new transportation money, he also inherited challenges. The Port of Virginia had been bleeding money for years. Also, controversy swirled over the money spent and tolls being used to build a new Midtown Tunnel and to renovate the existing Midtown and Downtown tunnels in Hampton Roads. 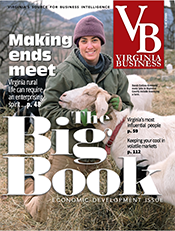 In addition, Layne also came into office when the commonwealth had paid almost $300 million to a contractor to build an alternative to U.S. 460 — a project for which Virginia didn’t have the required environmental permits. Virginia recouped about $46 million of that through a settlement negotiated in July 2015. In response, the administration and legislature worked together to tighten rules on public-private partnerships, putting the state in a better negotiating position on these deals. In his last two years as transportation secretary, Layne hopes to shore up the legislative changes that have been achieved, ensuring that objective measures are used to fund transportation projects. 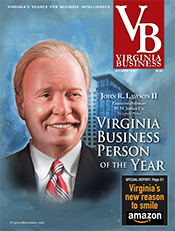 Virginia Business sat down with Layne in his Richmond office in late February. Following is an edited version of the discussion. VB: Let’s talk about the prioritizing process of HB2, now that we are in the middle of it, and we’ve seen the scorecard. Layne: So coming into office, when Governor McAuliffe and I were discussing his vision, it was clear we had to be good stewards. While we did have a little bit of extra money, we didn’t have enough to do everything, so we had to pick the right projects. That really led to the reforming of how we get transportation funding. VB: Were there any surprises in how the projects scored? I also thought there needed to be a methodology of how you used that data. In other words, I don’t think the law meant to say, “We’ve scored these projects all and now, Commonwealth Transportation Board, you guys haggle over which projects you want.” I didn’t think that was the intent of the law. What I thought was this scorecard is the default. So the methodology we developed for applying this was, you fund in each district the highest-scoring projects first until you run out of money, and then you take the next highest-scoring project. We know that every part of the state has needs. So, [we introduced] House Bill 1887 to reform and refocus how we allocate the dollars coming in. The two big things House Bill 1887 did was it said: “Before we start putting money into new projects, we better make sure we are taking care of our existing road work.” In other words before, we’d have maintenance, but maintenance either meant paving or maybe repainting. Well there needed to be infrastructure improvements well beyond that, but these weren’t adding capacity, and there was this hesitancy to use new construction dollars if you’re not adding capacity. The Virginia Department of Transportation went out and looked at the worst-performing or worst-rated structures that have to be built or rebuilt. The 45 percent wasn’t just made up. It was what VDOT said looking at our projections for the next 10 years was needed to bend the curve to stop the deterioration of our assets. So that’s one thing right off the top, 45 percent now goes into maintaining our network. The other thing [HB 1887] did, it divided the remaining money into two pots, and this gets me back to House Bill 2. Those at the district level, every district gets money, half the money of the remaining goes there. The highest-scored ones competing in your district get funded, and then it said the remaining monies are used at the statewide level for those big projects that really needed to get done. So House Bill 1887 really goes hand-in-hand with House Bill 2 in making sure not only are we using objective data, but we’re taking care of our current network and every part of the commonwealth gets these monies. If you think about this now…for the first time I think in modern history, every dollar spent in our construction program is either asset-managed by a rating of the level of service or the age or the condition of the asset, or it’s competitively scored against other projects. It’s also fiscally constrained. That means if you want to allocate monies to something else then obviously you impact something in the plan. If you want to add another project or if the legislature says, “I want to come out of House Bill 2 and force you to do this, [project]” well it impacts other parts of the commonwealth. I think that’s a thing they’re getting used to. [This year for the statewide money], we had $7 billion in requests, and we had $1.7 billion to allocate. So it’s a matter of choosing projects that get the most benefit, and whether or not that’s a cost benefit or transportation benefit, we score them both ways. VB: Obviously the process is going to be different, but do you think that end result is going to be a lot different? Layne: Oh, I do. The key will be that we consistently apply it...We’re never going to take all the politics out of it, but at least it puts the politics front and center as compared to the transportation and cost-benefit analysis. So I do see this as a game changer not only from the objective metrics but by the transparency and accountability. Citizens will know why the [CTB] allocated those monies and can have good input into the process. One other important piece to this, and it was done in House Bill 1887 too, was that the CTB was made independent. Before, the governor could put [members] on and take them off simply at his pleasure, and that happened. Now the governor puts them on, the legislature approves them, but they can only be removed for cause, and cause isn’t voting you’re conscience. [The CTB is now] an independent body that is charged with allocating these scarce resources and are liberated not only with the better data to make decisions but the freedom to know that they can vote their conscience, and I think that’s a huge step in this process in getting the data. We’re never going to eliminate politics, but I think the commonwealth’s made a big step in moving toward more pragmatic solutions, less dependent on the political process and then more dependent upon objective measures in hard discussions. VB: And then to talk about the P3s, we’ve talked a lot in the press about what has gone wrong. Can you talk about what you think has gone well and how you think the new legislation will change that process going forward? Layne: So let me start out by saying that the private sector and P3s have been or are going to remain a large part of our procurement, delivery process. They have to because we simply don’t have enough money to do it all ourselves. What I think needs to be done is, there needs to be a baseline when we’re making those decisions. So I think some projects did go well are the Express Lanes in Northern Virginia. I think we could have improved on some things, but I think it went well. [Some] in Hampton Roads didn’t go so well. It gets back to two basic points. One is the allocation of risk. Another important other piece is you have to have a baseline, and that baseline is if the commonwealth is going to do this on its own, what would it cost us? If you don’t have that, it’s hard to negotiate and allocate risk, and the process before did not do that. So [another law, House Bill 1886] brings overall accountability and transparency to this process. What it says is before you start negotiating, you’ve got to stand up and say what it would cost the commonwealth to do it. As secretary of transportation, I’ve got to now stand up and verify and make an affirmative statement that this is in the best interest of the citizens. I think the commonwealth paid a heavy price to get that Downtown/Midtown tunnel. I mean it is what it is, but we paid a significant price that we’re going to be paying, and I think had we used a different process, even if we didn’t have any money, we would have struck a different deal. 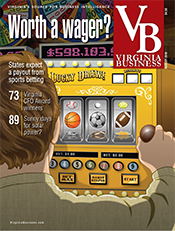 VB: Revenues came in lower-than-expected, and you’ve talked a little about the unmet needs. Do you think that the legislature feels like that it’s done now with transportation for a while, or do you think there are opportunities for new revenues? Layne: Well I think there will be opportunities. That gets back to the point about showing them and demonstrating that we’ve used everything wisely. Having said that, I think we can do a lot more before we go back in. Now, they’re hard decisions. 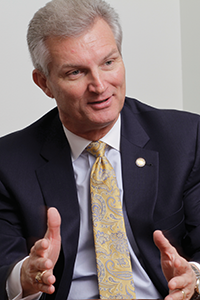 There were lots of bills saying, “Well, I want you to build this interstate, and I want you to do that.” Well, that defeats the whole purpose of House Bill 2, and I think the leadership, Speaker of the House Bill Howell, the leadership and the Del. Chris Jones, and in the Senate, Senators Tommy Norment and Emmett Hanger, they’ve said, “Hey, no look this is House Bill 2.” You’ve got to go through the process. So I think the next couple of years what I’m going to focus on is making sure we actually stay true to House Bill 2 and that the next administration sees how well that it works so it’s not undone. VB: I did want to make sure we talked about the Port of Virginia. That was something that you came in very quickly and said, “Finances aren’t acceptable.” So now that those seemed to be shored up, what do you think are the opportunities and challenges for the port going forward? Layne: The previous administration thought they should sell [the Port of Virginia operations], changed the whole board. This whole governance fell apart. They lost some institutional knowledge. I mean any business would have suffered. So when we came in, it was sort of floundering, but the port is arguably the most significant asset in the commonwealth. I think there were two things we had to get straight. First of all it was pretty clear that many of the problems were self-inflicted. 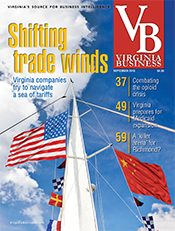 It was simply short-term poor business decisions because of a lack of focus and lack of leadership, and we were very fortunate to get [Port of Virginia Executive Director] John Reinhart. So this year we’re doing two things: $350 million dollars for the renovation of the project to modernize Norfolk International Terminals, which is our largest terminal in terms of land mass, and now we’ll make it efficient. 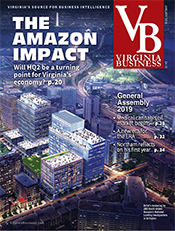 And we haven’t signed the document yet, but we will have a long-term lease for the Virginia International Gateway [terminal], where another $300 million or so will be invested in that to expand it. VB: What about our opportunities in space? Layne: We sent a spaceship up without insurance. [In October 2014 an unmanned Orbital Sciences rocket exploded during launch, causing damage to the Wallops Island Flight Facility.] That was an interesting thing to go through, and I don’t mean to be flippant, but back to risk. I mean you know most of the time in business, you’ve got to protect yourself. We redid our agreement with Orbital and with NASA, and so I think it fits well hand in hand with the governor’s new Virginia economy. [The space industry offers] high-paying jobs. 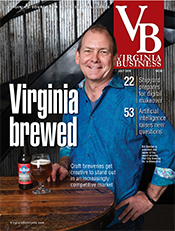 We need to recognize too, that while there’s a lot of talk about man space flight, that’s not what Virginia’s niche is. Our niche is [these] low orbits to supply satellites to the International Space Station. Wallops Island is very much right in that niche, and we’ve got a great opportunity to build an economy not only just on the Eastern Shore in South Hampton Roads but across the commonwealth with these high-paying jobs. Orbital is actually based in Dulles. So I think we have now it set up to where people know if we put money into it, it’s going to be a return back to the commonwealth. VB: You said you had some interest in the transportation reforms from outside Virginia? I think that story will be one that will continue to come out, and it’s going to take time for people to really see the consistency and the benefits, and that’s what I think I’ll be doing the next two years. I’m going to be steadfastly on is making sure that gets inbred because I think Virginians win.